How should you pack the grease in a Grid Coupling? 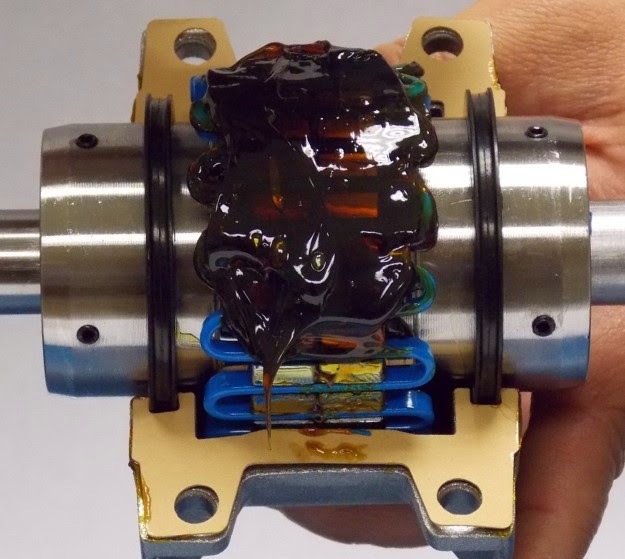 It is also important to note that coupling grease is not bearing grease (see Coupling Grease - Four Things You Should Know). Coupling grease is much thicker, and you will run into problems if you are not using the right type of grease. Grid coupling installation videos, highlighting the packing of grease are readily available for Horizontal Split Cover Grid Couplings, Vertical Split Cover Grid Couplings, Full Spacer Grid Couplings, and Half Spacer Grid Couplings. Formal installation instructions for specific grid coupling types can be downloaded on Lovejoy's Installation Instructions resources webpage. An excerpt from one of these instructions can be seen below, with the segments speaking to grease being underlined. For further questions or information regarding grid couplings, please see Lovejoy's grid coupling product page. 6.10 Prior to inserting the grid spring or grid spring segments, thoroughly pack the grooves on each hub with a qualified coupling grease (see Table-2). If the grid springs consist of two or more segments, assemble the grid springs so that the cut ends of one segment extend in the same direction as the cut ends of the next segment. Spread the grid slightly so that the edge of the spring passes over the grid teeth in the hub. A flat blade screwdriver can be used to stretch the grid spring. Insert the blade through the grid spring and into the grid teeth groove a couple loops beyond where the grid spring is to be inserted. Tilt the screw driver to stretch the spring and the grid loops should drop into place. Towards the end you may need to switch to a soft face mallet and tap the edges of the spring into the respective grooves. 6.11 Pack the spaces around the grid spring with qualified grease (see Table-2) and wipe off any excess grease flush with the top of the grid spring and grid teeth on the hub. 6.12.1 When using a vertical split grid cover assembly, slide the cover halves over the hubs lining up the bolt holes so that the grease plugs are 180° apart. Insert the fasteners through the cover holes and tighten to the torque specified in Table-5 using a calibrated torque wrench. 6.12.2 When using a horizontal split grid cover assembly, position the seals on the hubs so they align with the grooves in the covers. Position one cover half under the seals and place the two gaskets in position. Align the second cover half over the seals so that the match marks line up on the same end of the covers. This ensures the recesses in each of the cover halves that receive the fastener nuts are 180˚ apart. Insert the fasteners with the nuts fitted in the recesses provided. Tighten the fasteners to the torque specified in Table-5. 6.13 If additional grease is required, replace one grease plug with a grease fitting and remove the second plug. With the plugs oriented 180˚ apart in a horizontal position, fill until grease comes out of the second opening. Then replace the plugs. 6.14 Make sure grease plugs are in place. Start the equipment and operate with the coupling in place for several minutes. Stop and recheck fastener torques and inspect the coupling for any grease leaks or other abnormalities.